Stage Blinder 2 DMX. 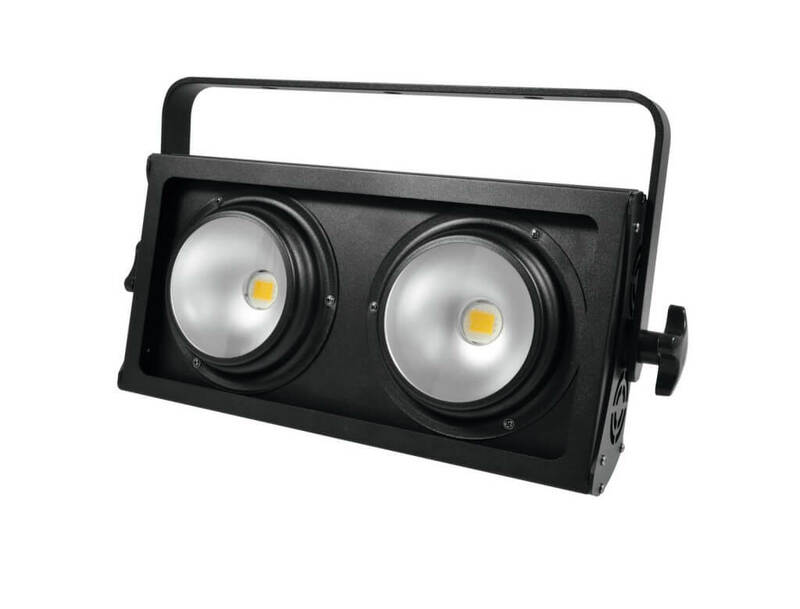 The Stage Blinder 2 DMX is an active version of the already popular Stage Blinder 2., It has a built-in 1 channel dimmer so that the Stage Blinder can be controlled and dimmed by DMX. Requires 16a plug. 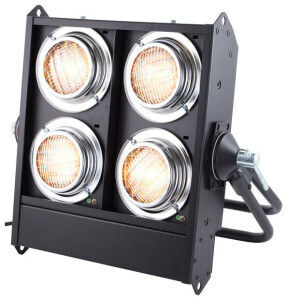 Stage Blinder 4 DMX. 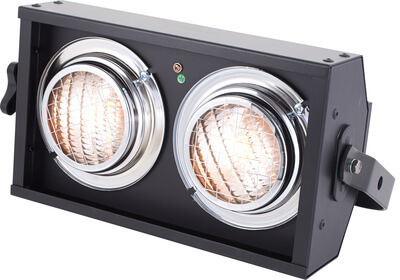 The Stage Blinder 4 DMX is an active version of the already popular Stage Blinder 8, It has a built-in 2 channel dimmer so that the Stage Blinder can be controlled and dimmed by DMX. Requires 16a plug. includes lamps & power lead. Fully active with built-in dimmerpack, selectable DMX modes thomann (1 channel, 2 channel, 5 channel and 10 channel). 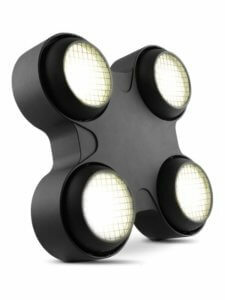 For stand-alone applications (16 built-in patterns and manual dimmer). Includes mounting/floor brackets.